On the banks of the turquoise river Lech, the old town center is a maze of narrow medieval streets and magnificent baroque churches. 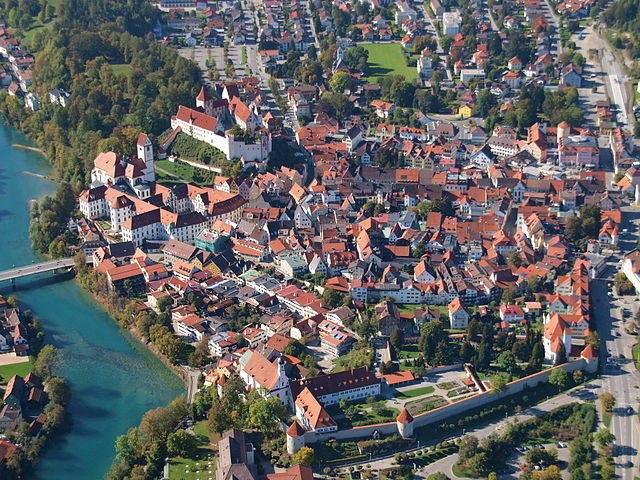 Grouped around it are the villages of Bad Faulenbach, Hopfen am See and Weissensee, all set in idyllic lakeland scenery amid the foothills of the Alps. The variety of the beautiful countryside – Alpine mountains, rolling Allgau hills and idyllic lakes – provides endless possibilities for an unforgettable active holiday.